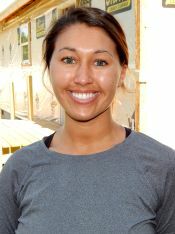 One of those helping bring those values to life is Brittany Demendi, Fraternal Outreach Coordinator. “One of the benefits we offer members is planning mission trips,” said Demendi, who is leading a group of 13 volunteers on a Fuller Center U.S. Builders trip hosted by the Albany (Georgia) Area Fuller Center for Housing. While the main agenda is to serve people in need by putting faith into action, these mission trips offer volunteers new ways to see God’s love at work. “One of the things we ask during the week and each night at reflections is, ‘Where did you see God today? '” Demendi said. 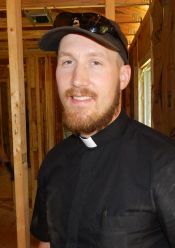 Father Samuel Schneider of Wisconsin sees God in many places on this trip, especially in the families with whom the group was building homes in Americus.